The Marketing and Communications office strives to spotlight the exceptional people who make up the University of Missouri–St. 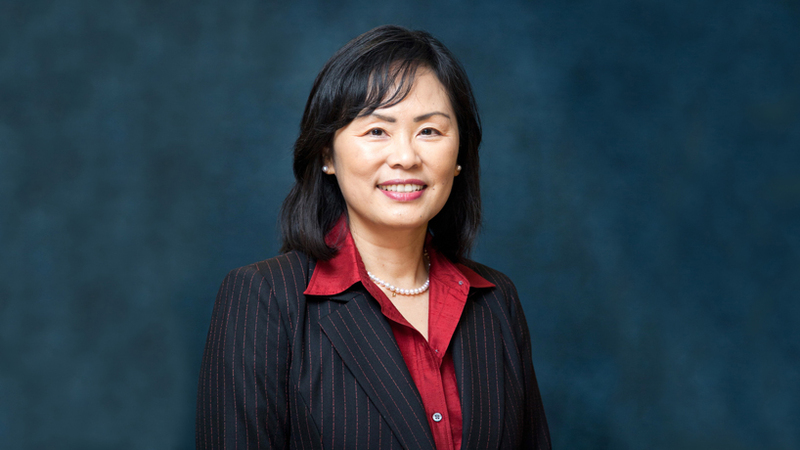 Louis community and the impact they have across campus and throughout the region. But occasionally the team of unassuming writers, designers and campus photographer gets outside attention for its own great work. That was the case again last week when the Council for Advancement and Support of Education (CASE) announced the winners of its District VI institutional awards. UMSL staffers received five prizes, including a pair of gold awards, in the annual competition, which features institutions of every type and size from the states of Colorado, Iowa, Kansas, Missouri, Nebraska, North Dakota, South Dakota and Wyoming. 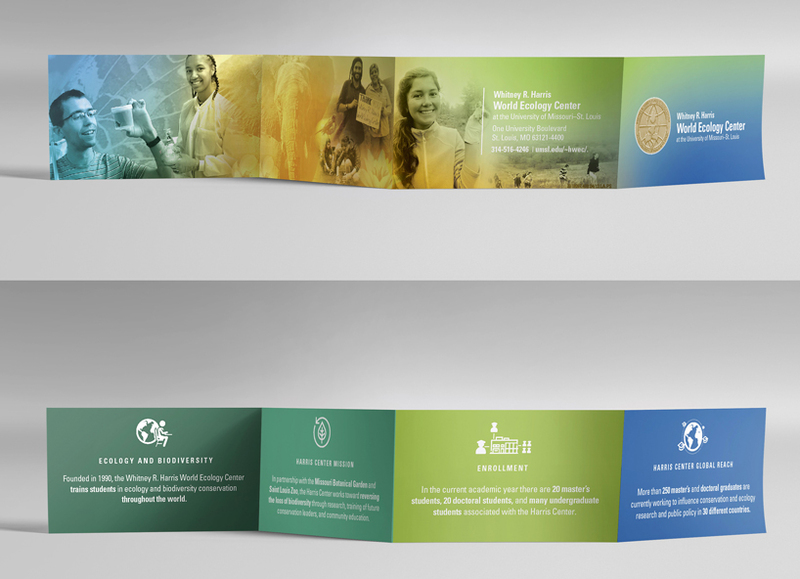 Designer Lori Austin won gold in the design category for this brochure highlighting the global reach of the Whitney R. Harris World Ecology Center. Senior content writer Sara Bell won gold for excellence in newswriting for a collection of stories highlighting triumphs among the university’s nontraditional student population that were published in UMSL Daily or UMSL Magazine. The collection featured stories about Annie Mbale, Joshua Eckhoff, Straw Hat Aquaponics, Nicholas Wulfert and John McCarthy. Designer Lori Austin also won gold in the publication and design category for her brochure highlighting the global reach of the Whitney R. Harris World Ecology Center, which has helped train more than 250 master’s and doctoral students now working on conservation and ecology research and policy in more than 30 countries. Senior marketing writer Jami Hirsch won silver in the PSAs or Commercial spots category after providing the creative direction behind a series of television commercials showcasing successful recent graduates from UMSL’s Colleges of Arts and Sciences, Business, Education and Nursing. 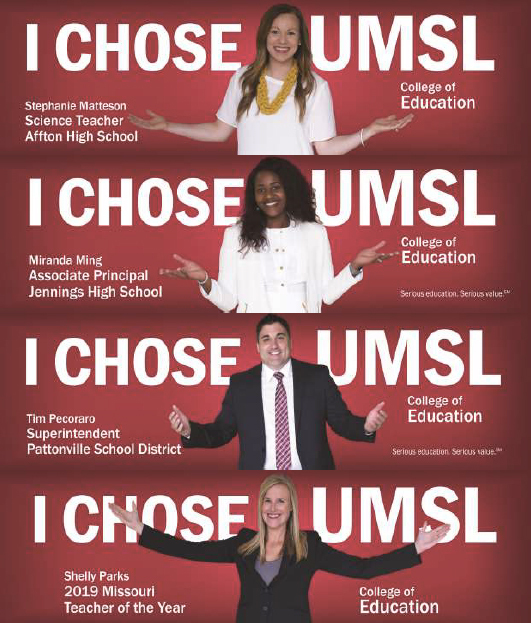 Senior marketing writer Jami Hirsch and designer Joan Barnidge won a marketing bronze for their work creating billboards highlighting graduates of the College of Education as part of the long-running “I Chose UMSL” branding campaign. 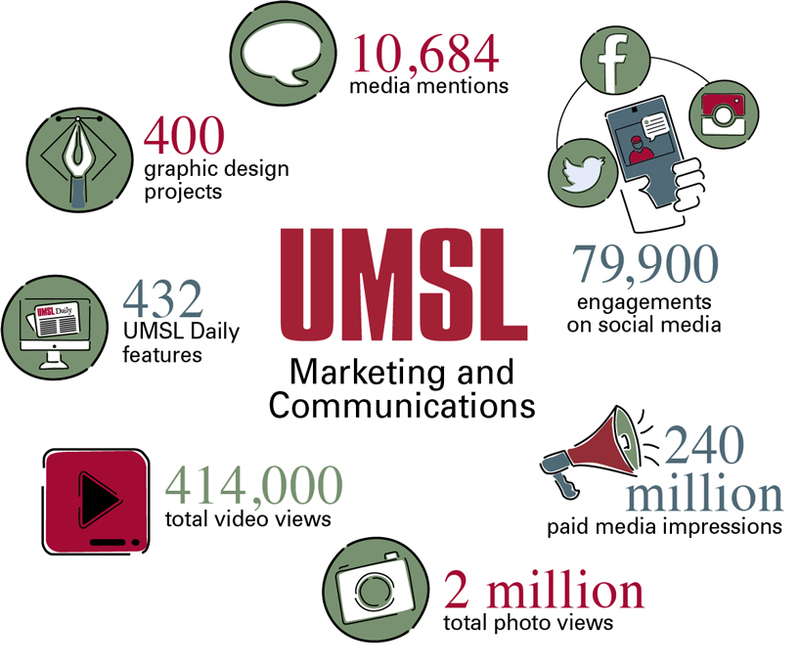 Hirsch and designer Joan Barnidge won a marketing bronze for their update to the long-running “I Chose UMSL” branding campaign. Their work featured a new group of successful young alumni from the College of Arts and Sciences and College of Education appearing on billboards throughout the St. Louis area. Barnidge also won bronze in the publication and design category for her design of the spring commencement program, when UMSL celebrated its 100,000th graduate. Those awards offer only a glimpse at the work produced by the Marcom team in 2018. 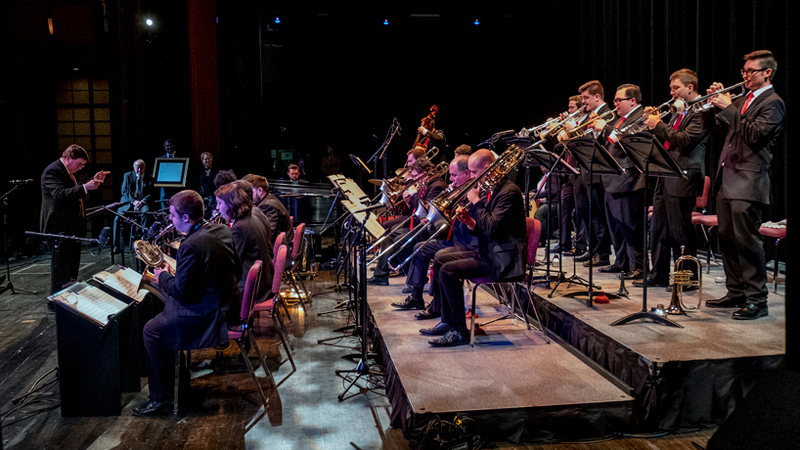 Its most important efforts might have been in the production of UMSL’s new five-year strategic plan. 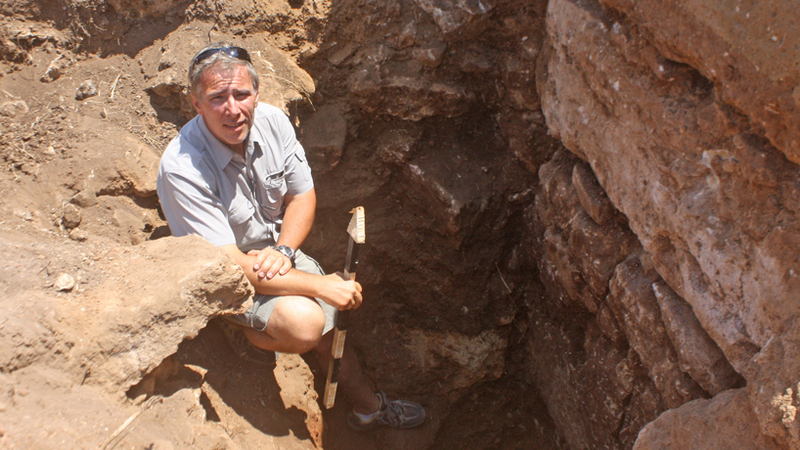 Members of the team helped with editing and revising the plan, while the designers laid out the final product delivered to the Curators of the University of Missouri for approval. The Marketing and Communications office also played an integral role in sharing the mission at the heart of that plan: We transform lives. It helped spread it across campus with posters displayed in UMSL buildings and brought it to the community beyond with decals on three buildings along Natural Bridge Road. 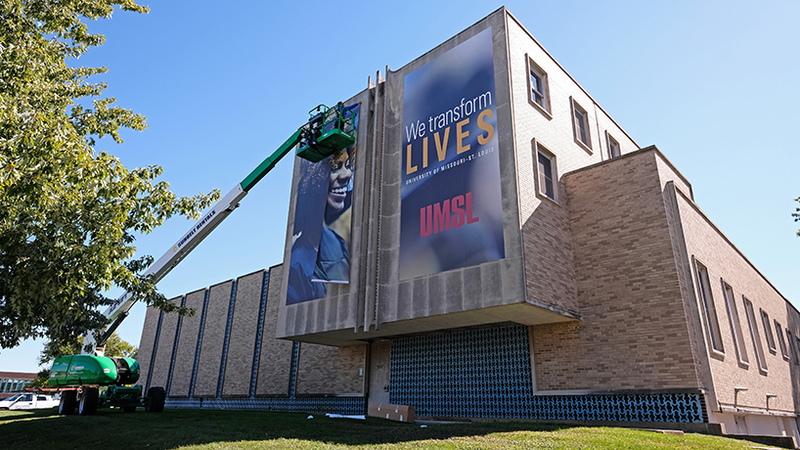 “We transform lives” was also the theme of videos produced for the chancellor’s State of the University Address in September and Founders Dinner in October as well as the fall issue of UMSL Magazine. The magazine featured profiles of 17 alumni, students, faculty and staff who had their lives shaped by the university and have gone on to make an impact on the wider world.